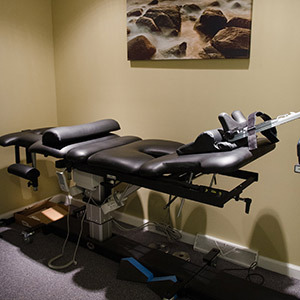 When you visit our Hopewell chiropractic office, you’ll experience an open, welcoming environment that is calm and professional. We schedule generous amounts of time for new patient exams so you never feel rushed to explain your health situation. We encourage you to see us as soon as possible after an injury occurs to maximize your recovery ability. Please arrive 10-15 minutes early to check in and complete the necessary paperwork. Wear or bring comfortable clothing to your appointments, and avoid wearing tight-fitting or restrictive clothing. This will provide a working diagnosis to produce a treatment plan to help you reach your health goals. We recognize that every patient’s goals are different. Whether your goals are to return to competitive sports or play with your grandchildren without pain, we will help you get back to the best condition possible. In most cases, we are able to treat patients during their first appointment. We recognize that every patient’s goals are different. Whether your goals are to return to competitive sports or play with your grandchildren without pain, we will help you get back to the best condition possible. Your chiropractic care will follow the treatment plan from your initial exam. A combination of adjustments, manual therapy, soft tissue treatment, in-office and at home exercises may be utilized. Our goal is for you to feel better with each visit until we have reached our goals. Hopewell chiropractor Dr. Daniel Zorn is dedicated to providing the highest quality of chiropractic care. He compassionately works with patients and reserves time to spend listening, educating, and treating at every appointment. Our goal is to get you better in a time frame that is beneficial to you. 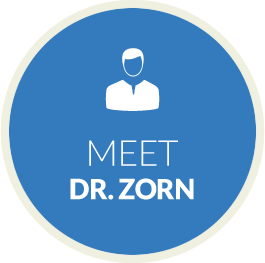 Dr. Zorn distinguishes himself by his relentless pursuit of education and research. He has helped patients postpone and avoid surgery through natural, conservative chiropractic care. Ready to get started? Contact us today! We look forward to helping you achieve your health goals.